SPACE STATION NATHAN: Name That Dragon! Round 16 FINAL ROUND! Here it is, the final dragon! 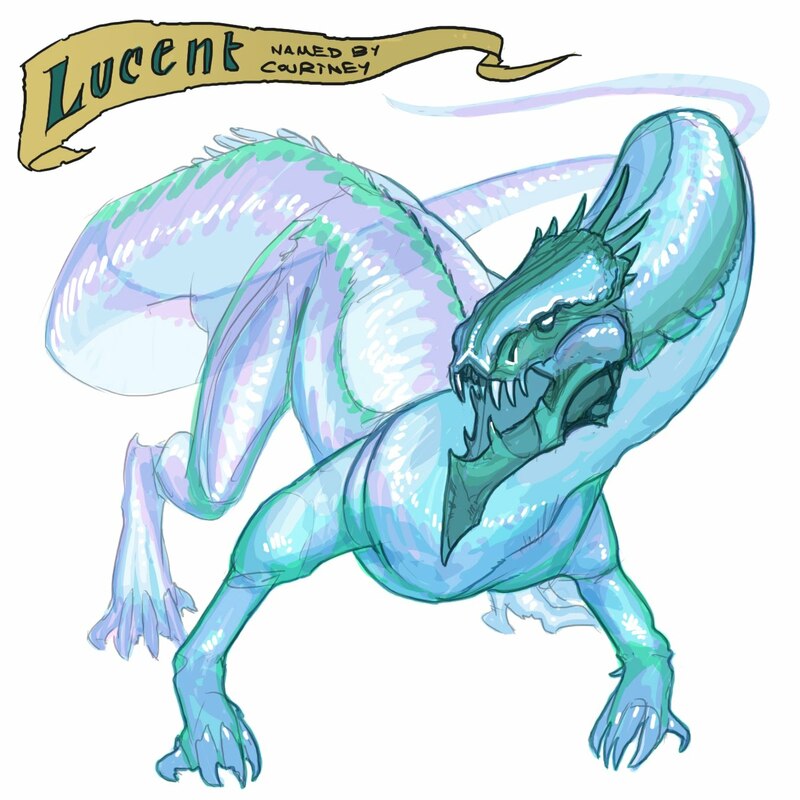 This dragon is made entirely of ectoplasmic goo. It's a see-through, inter-dimensional dragon. Name That Dragon! And he shall be called: Gronkaloth! Though he cannot fly, he moves with surprising nimbleness across the ground, and once he grabs hold of you, his bite cannot be broken! Congratulations Chris! You have named this dragon! One more chance to win, make it good! This Thursday is the annual King's English holiday party. I'll be there, with many other Utah authors, signing TWELVE BOTS and DINOSAURS' NIGHT BEFORE CHRISTMAS's. It's from 5-7. If you live in or around SLC, come on by! I'll miss the Name That Dragon contest, but will definately stick around! I only wish that I'd discovered "Space Station Nathan" sooner. Keep up the great work, Nathan! Hello Mr. Hale! My computer is not letting me contact you through the 'contact me' link so this is how I'm going to catch you, I guess. I'm the mom to four kids and work at a library so I see a LOT of kids books. (also a member of SCBWI). I found your work gradually, through 'the devil you know' first, I believe. Fell in love instantly. Now I've found your robot book on our new book shelf and love it as much as the others. I'd like to review it for a blog site I write for (geekmom.com, it's associated with Wired Magazine). I just wanted to give you a heads up, and if you email me, I'll send you the link when I get it posted. Thanks just one foot--I've emailed you at the top address you posted. I can't wait to read your review! This has been so fun! Even though I haven't submitted names for every dragon, I've loved seeing all the different cool and creative ones you posted. @Q-I definitely chortled when I saw ectoplasmic reticulum. I'm just embarrassed I didn't think of it first. Has anyone else wished they had used the verification word that shows up for the comment submission? Some of those would have made great dragon names. Hi Nate. This is your Potter cousins in the Pacific. This such a rad game...sad we found it on the last day! Invzitor the Invzincible Invzisible one!Meant to put the Zs.